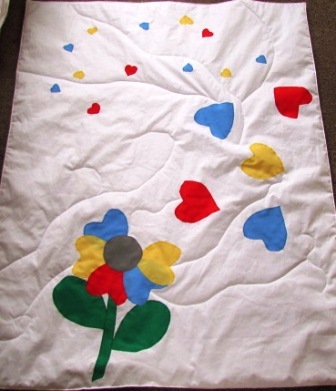 Homemade quilts are great to make when extra warmth is needed. Homemade quilts are ones that can be treasured. They are lovely to make and some simple ones can be sewn in a day or an afternoon. The type of design that they are made in can range from being very plain and simple to extremely elaborate designs. These can also be personalised in a number of different ways from the choice of fabrics to the embellishments and the size. Sewing a more complex quilt will take a lot longer to do, possibly stretching into weeks or many months. Patchwork quilts are an example of this as if patchwork blocks are the basis of the quilt, then each block will need to be made first. I made one using 24 blocks which took a while to sew and that was only the top of the quilt. There are many outlets both in shops and on line for fabrics, Minerva Crafts and Homecraft.co.uk are good places to buy many different types and designs for new fabrics. One of the places I like to search is in Amazon to find either an unusual print or widen the choice of fabric. There is a search link on my shopping page. 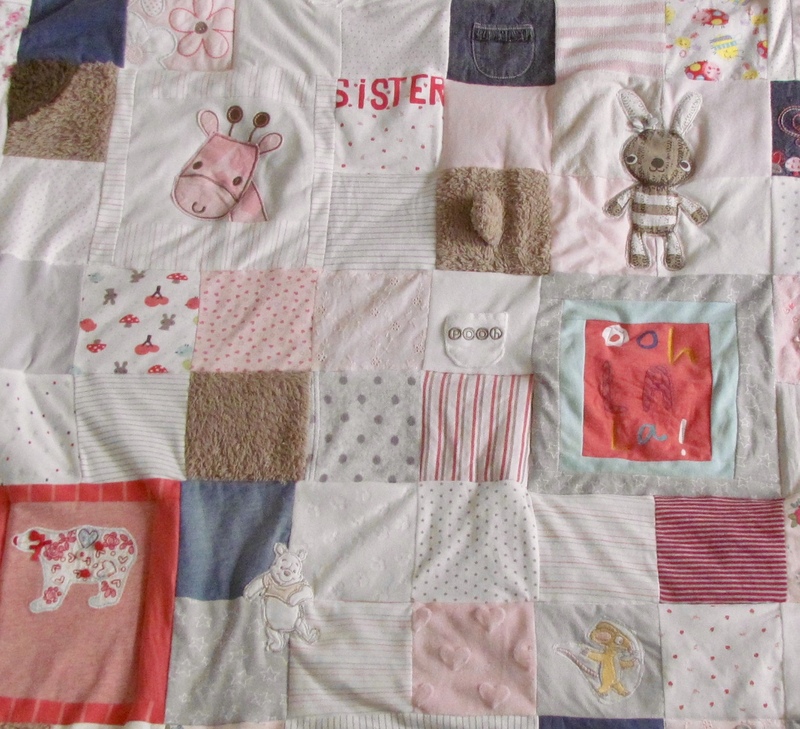 Memory quilts can be made using new fabric by thinking where the person it is for has travelled, their interests and hobbies or general likes. For example if they have travelled to Australia then the fabric could be an Australian theme or have animals native to that country. Likewise with a fan of music, animals or flowers there are many new fabric in these prints. Patchwork blocks can use new or old, used and washed fabric in designs showing their interests, for example if they liked sailing then the sail boat block would be ideal. There are blocks that are old and traditional and modern ones as well to bring this art up to date. 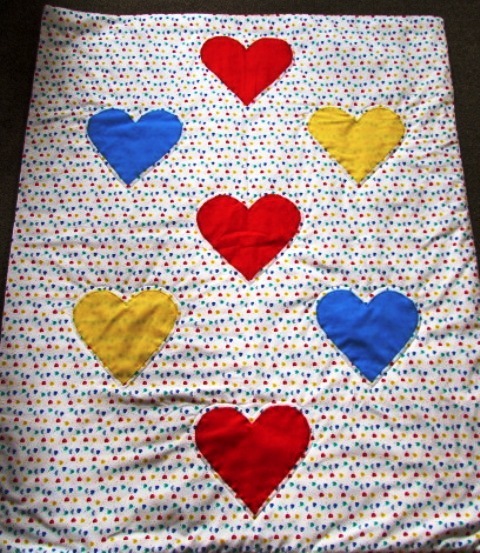 Old clothes from children, babies or even your own can be used to make any of the quilts, but probably more the memory quilt as the clothes would serve as a lovely reminder of earlier days. Make sure they are laundered beforehand. If you have a collection of band t-shirts then these can be used to make a band quilt. The list could be endless. 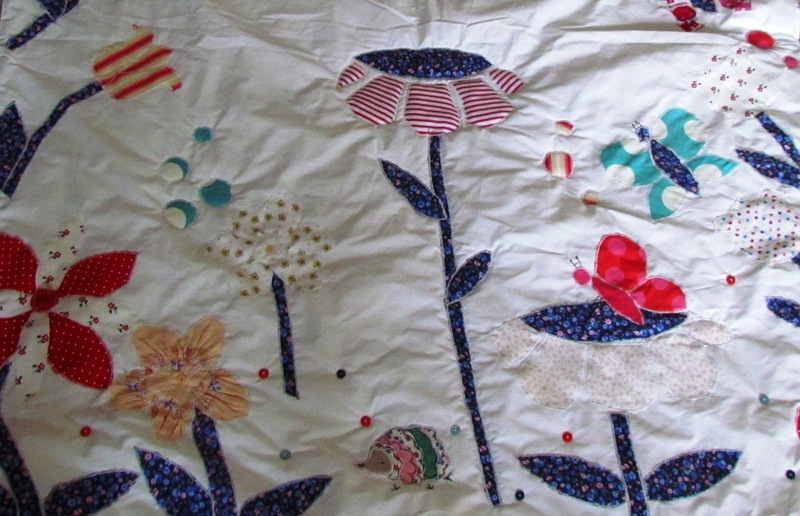 Enjoy making your own homemade quilts to treasure. 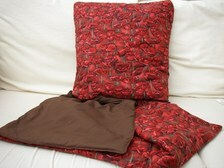 Return from Homemade Quilts to Cushions and more.